100 MHz, 1 GSa/s, 2-Ch, 7" widescreen color display DSO with features such as digital filtering, FFT, waveform recorder, and mask testing. 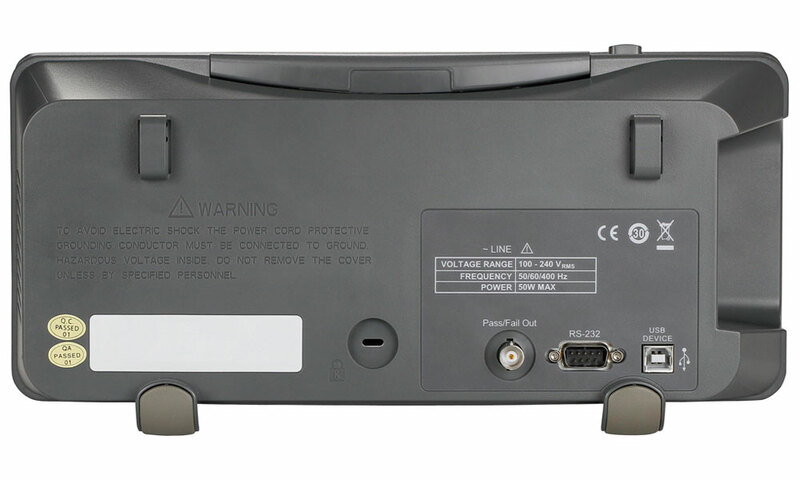 Includes RS232, LAN, and USB port for remote control. 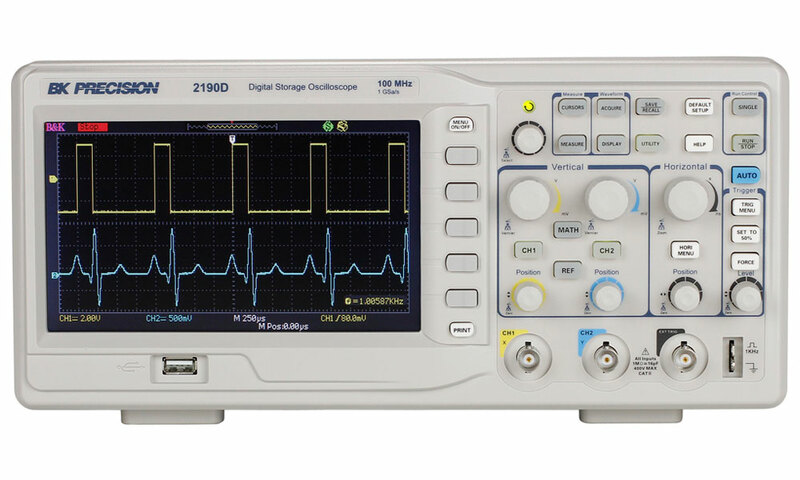 The 2190D oscilloscope combines performance and value all in one portable solution. 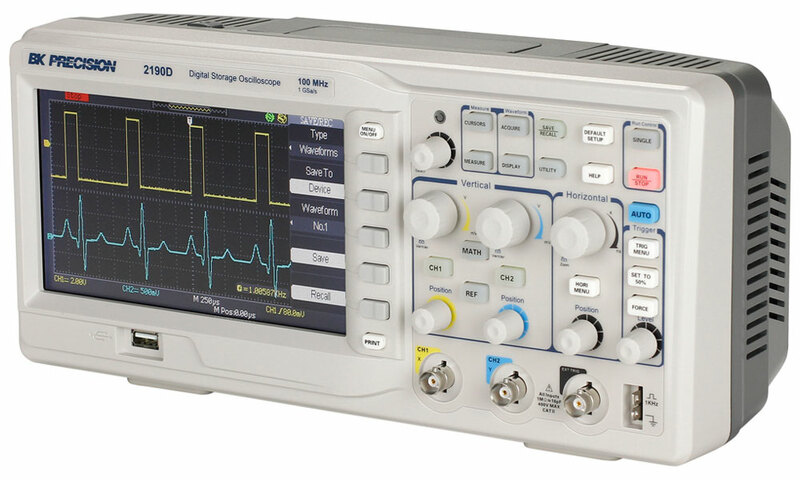 With advanced triggering capabilities, long waveform memory up to 40,000 points, and extensive features such as pass/fail limit testing, digital filtering, waveform recorder, and 32 automatic measurements, this oscilloscope offers powerful tools in a small affordable package. 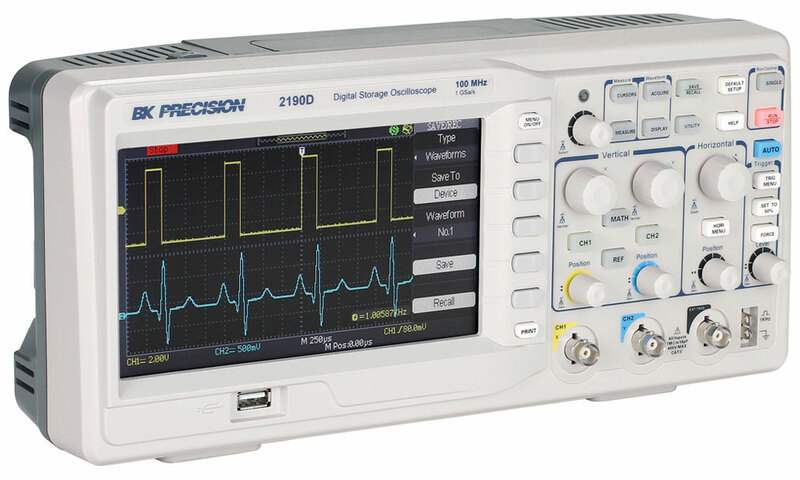 General Purpose digital storage oscilloscope active differential probe with 10x and 100x attenuation ranges and voltage measurements up to ±700 V. Bandwidth to 25 MHz. Powered by 4 AA batteries or optional 6 V DC mains adapter.